On June 25th, 1950, the world was taken by surprise as the North Korean Army crossed the 38th Parallel to invade South Korea. This action set in motion a series of events that greatly affected the lives of hundreds of people here in the Northland. In August, the President of the United States authorized the United States Marine Corps to activate the Marine Reserve units across the nation. "B" Company, 4th Infantry Batttalion, was one of those units called to serve. These brave men lost ten members to battle and 80 percent suffered wounds or injuries. The commander of "B" company, 4th Infantry Battalion Captain Hillford G. Bowes received a communication from Marine Corps Headquarters to activate the Company and proceed to the U. S. Marine base, Camp Pendleton in California enroute to serve in the Korean War. On August 21st, 1950, 227 officers and enlisted men marched down Superior Street to Union Depot and boarded a train to begin their service. Click on the picture above to view this march. Of those 227 men, 90 percent served in combat, ten were killed in action, and 80 percent were wounded or injured. One was a POW for 33 months. Nine combinations of brothers also served. 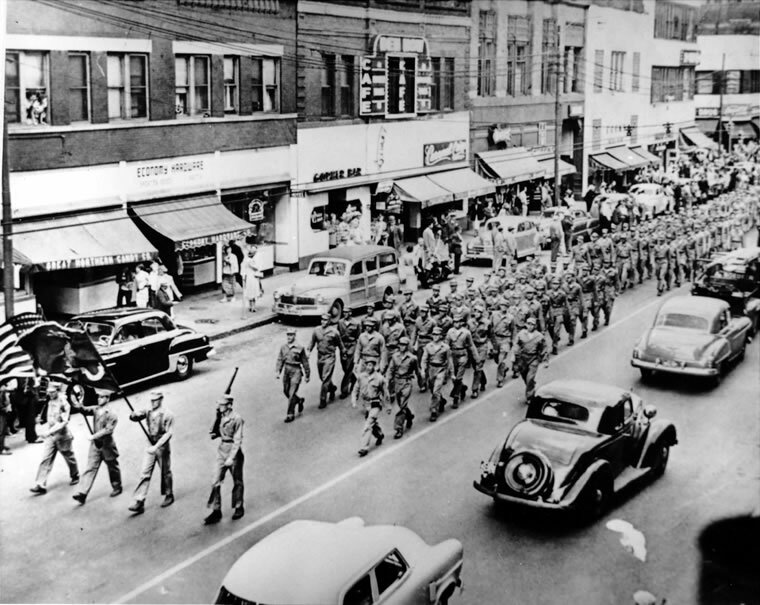 The members of "B" Company started returning home as early as mid-1952. They returned to civilian life as best they could. Their bravery and patriotism will be remembered forever. 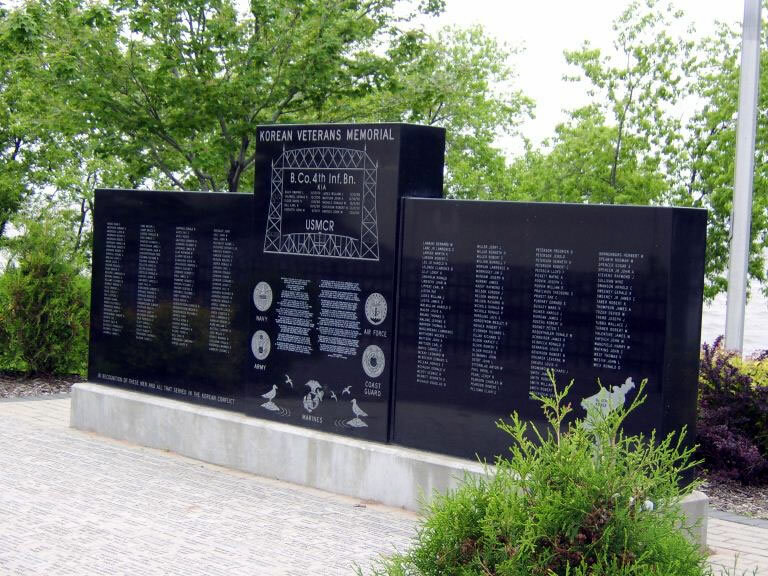 The Korean War Memorial is dedicated to the brave and proud marines of "B" Company and honors all branches of the Armed Services and everyone who served in the Korean War. You can help support and maintain this Memorial to all the members of the Armed Forces with your donation. There is no more welcome sight to a bunch of marines pinned down by enemy fire than a friendly marine pilot providing ground support!